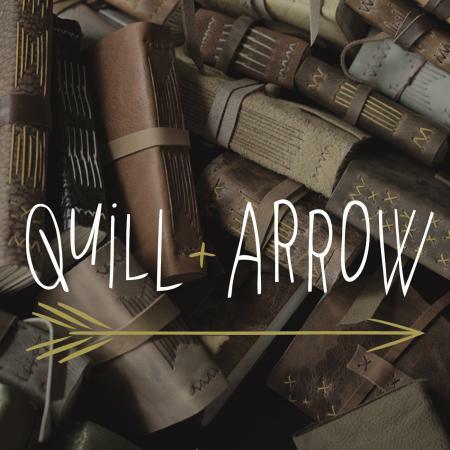 Quill & Arrow letterpress prints a wide range of well crafted commercial and fine art projects including invitations, cards, stationery, posters, and more. We bind books, primarily longstitch and coptic and teach bookbinding workshops. We also offer design work and specialize in hand rendered calligraphy. We pull prints by hand on a Vandercook # 4 and a Craftsman 5 x 8 Clamshell Press.